Manchester United have become the most successful club in English football history after winning their 42nd major trophy. The Red Devils beat Southampton in Sunday’s EFL Cup final, meaning they have now overtaken Liverpool in the standings for silverware. Zlatan Ibrahimovic struck twice at Wembley, either side of a Jesse Lingard goal, delivering the Old Trafford club’s fifth League Cup trophy as a result. United have also won 20 Premier League titles, 12 FA Cups, three European titles and two FIFA Club World Cups, totalliing 42 major trophies, one more than archrivals Liverpool. The Reds have won 18 top-flight titles, seven FA Cups, eight League Cups, five European cups and three UEFA Cups. Liverpool have so far reached two cup finals under the guidance of manager Jurgen Klopp, the 2016 League Cup against Manchester City and the 2016 Europa League final against Sevilla, eventually losing both. 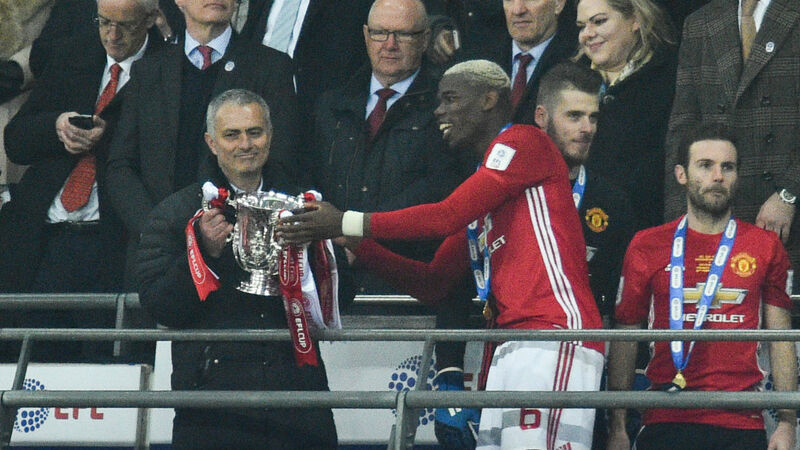 Jose Mourinho became the first United manager to win a major trophy in his first season on Sunday and equalled Sir Alex Ferguson’s record of four League Cup trophies.